Most organizations conduct employee surveys of various types either annually, every two years or sporadically. Some organizations use the data from the employee survey to affect real change that contributes to their ongoing success. There are organizations who like to focus on comparing their survey scores to the scores of other organizations and there are the organizations that do little with their survey results. The focus of this article is to discuss the middle group: those organizations that like to focus on and compare their employee survey scores against the average scores of all the organizations that are in a third party database. Many surveying companies sell their services on the basis that they will be able to compare the scores of the one company against the average score of all of the organizations in their database. Comparing yourself to someone else is enticing. We have been exposed to comparative data from the first day we stepped inside a school. Throughout our primary and secondary education we were compared to the rest and typically this comparison was against the “class average”. We knew who the smartest and the dumbest kids were but it was the average that counted. Was I above or below the class average? That was important in terms of dealing with our own self esteem and dealing with our parents. This was not the case for all students. The parents of some students demanded top marks and that is exactly what those few students worked towards. They had to be the best. They had to have the top marks. This was all very interesting but in the end it was irrelevant. When it came time to apply to university a new standard had to be reached. University entrance requirements varied but one thing was clear. Average marks were not good enough. In fact being above average in many instances was not good enough. University entrance requirements were demanding and one had to strive for a new and much higher standard than “average”. The profile or status of a university that you were interested in attending, determined the level of academic excellence you had to achieve. 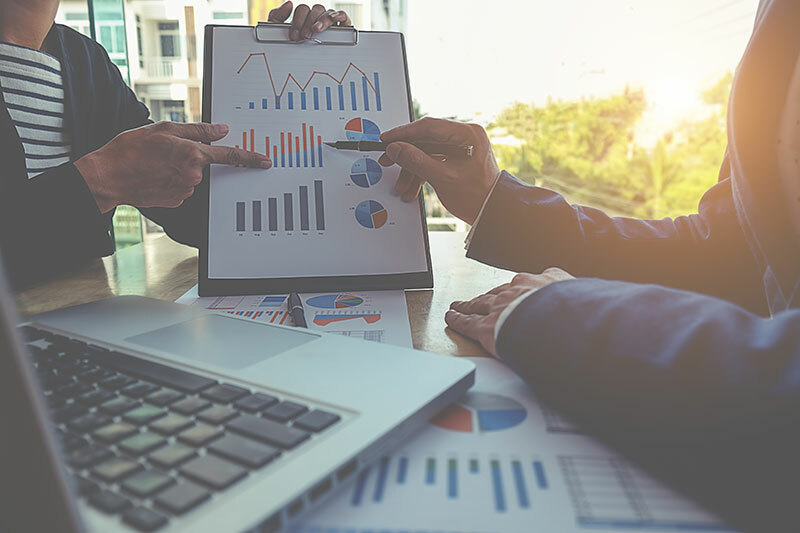 It is puzzling to see how many organizations fall into the trap of placing a great deal of emphasis on comparing their surveys scores to a database that represents the average of a number of companies. These comparisons are sought not only for the overall scores of the employee survey, but for every question in the survey. It would appear that a fundamental question needs to be asked by every organization-why are we conducting an employee survey in the first place and what are we going to do with the results. From a strategic perspective it would seem reasonable to think that an organization would wish at the very least, to demonstrate that the survey is helping the organization to achieve their strategic goals. In other words, they are conducting the employee survey as a way of obtaining employee information that can be used to improve for example, workplace practices in order to lift their employees’ working experience. In turn this will lift the customer experience and profits. However, if this or some other strategic purpose is not being fulfilled by the employee survey than the value of conducting the survey is questionable. One could argue that comparing oneself to other organizations is in fact a legitimate strategic objective. It is worth knowing how you compare to the best. How does your stock performance compare to the best in your business sector-not the average of all the companies in your business sector but only the best? How do your employee survey scores compare to the best in your business sector-not the average of all the businesses in the database but only the best? For example, employee turnover in the retail sector is fairly high. Most retailers take it for granted. Entec Corporation has been working with Gap Inc. Canada for several years. Gap offers excellent training programs especially for their associate managers and store managers. In 1999, Gap was routinely being raided by other retailers and their annual turnover rate for store managers was 39% and for associate managers it was 48%. This was costing Gap hundreds of thousands of dollars each year in recruiting and training. With over 200 stores and 10,000 employees across Canada, these costs were unacceptable. Entec Corporation was engaged by Gap to conduct an Organizational Health Survey. Gap acted upon the recommendations in the survey and was able to reduce manager turnover rates to 13% in one year. But these lower turnover rates were accompanied by real business gains. For example, secret shopper scores increased by 5% after only eight months and sales in Canada over the last few years have improved to a level where the Canadian operation moved from being about in the middle to becoming one of the most profitable divisions in the world. The survey results were linked directly to the bottom line. If Gap accepted “the trap of comparing themselves to the average” and accepted the conventional wisdom that “this is the average turnover rate in retail so we are OK”, they would not have saved thousands of dollars each year in training and recruiting. More importantly they would not have experienced the benefits that reduced turnover brought them; namely preserving human capital of highly trained managers that helped to grow Gap’s business. This last point is typically overlooked. The impact of a reduction in turnover of well trained employees to the bottom line of a company is considerably higher than the cost savings achieved from reducing recruiting and training. The trap an organization falls into when they become focused on benchmarking themselves against others is that they lose sight of what is really important-what is it that we are doing well and where do we need to improve in order to create an even better organization than the one we already have. If you must compare yourself to others, compare yourself only to the best and do not get side tracked.